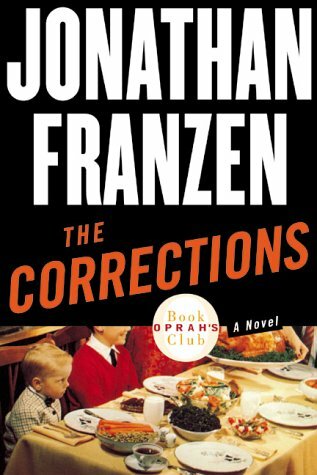 Jonathan Franzen&#146;s strength as a fiction writer lies in his micromanagement of characterization. It&#146;s no oxymoron to call The Corrections a large-scale intimate portrait of an American family. By burrowing deep inside the bruised middle-class psyches of Alfred and Enid Lambert and their three grown children, Franzen intends to expose not just this particular nuclear family but the nucleus of our collective desires and fears as human beings and as a nation. The author is on record as wanting to forge a hybridized link between cerebral postmodern literature and character-driven mainstream novels. Indeed, this is exactly what he&#146;s done. At its best, the mixture makes for dazzling fiction. When the balance falters, the narrative lapses into self-indulgence or flirts with soap opera. What&#146;s remarkable is how often this 568-page novel succeeds on its own grandiose terms. Alfred Lambert, retired railroad inspector and family patriarch, is deteriorating. He&#146;s suffering from Parkinson&#146;s disease, he&#146;s medicated, he&#146;s listless and confused. At home in St. Jude&#151;the novel&#146;s mythical Midwestern city&#151;Alfred has retreated &#147;underground&#148; to his basement enclave and workshop. His wife Enid wants desperately to rally the family for what she fears might be their final Christmas together. This isn&#146;t as easy as it sounds. Gary, their investment banker son, is coping with depression in Philadelphia, and Gary&#146;s wife Caroline wants nothing to do with Christmas in St. Jude. Chip, the Lambert&#146;s rebellious middle child, has been fired from his college teaching post and taken an unlikely job in Lithuania working for a post-Communist dot-com start-up. Daughter Denise, a sexually conflicted chef at an exclusive Philadelphia restaurant, is barely on speaking terms with her mother, who believes Denise is having an affair with a married man. In his shirt and tie and wing tips he nimbly took the catwalk over the Maumee River, forty feet above slag barges and turbid water, grabbed the truss&#146;s lower chord and leaned out upside down to whack the span&#146;s principal girder with his favorite whacking hammer, which he carried everywhere in his briefcase; scabs of paint and rust as big as sycamore leaves spiraled down into the river. A yard engine ringing its bell crept onto the span, and Alfred, who had no fear of heights, leaned into a hanger brace and planted his feet in the matchstick ties sticking out over the river. While the ties waggled and jumped he jotted on his clipboard a damning assessment of the bridge&#146;s competence. The 42-year-old author has a protean talent for processing complex data and finding heightened literary uses for the way things work. From stock market transactions to the neurochemistry of antidepressants, The Corrections refuses to skimp on minutiae. In his two previous novels&#151;critically praised but little read&#151;Franzen utilized a similar strategy of injecting three-dimensional characters into metafictional frameworks that allowed his brainy knowledge-crunching skills to shine. The Twenty-Seventh City (1988) fused elements of the mystery/suspense genre with an intricate vivisection of St. Louis machine politics. Strong Motion (1992) wove a fanciful thematic skein around the disparate topics of earthquake research, abortion rights, and corporate malfeasance. Franzen shares much in common with state-of-the-art postmodern novelists like Don DeLillo and David Foster Wallace, but the strongest material here recalls John Cheever&#146;s beautifully modulated stories of WASPish marital discord and urban anxiety. While not the instant &#147;masterpiece&#148; proclaimed by its publisher, The Corrections is an impressive achievement destined for its share of year&#146;s-end literary awards and honors.